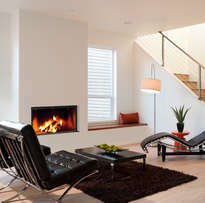 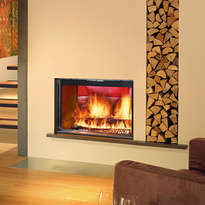 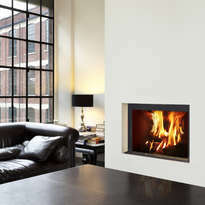 Fondis Stella 3 inset stoves have stunning frameless glass doors. 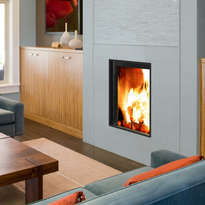 There is no lower door frame cutting across the field of vision, just the clean edge of glass, which allows for a very pure view of the flames. 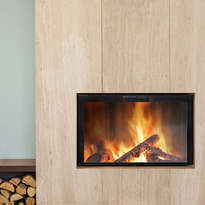 Burned with the door open, a Stella 3 stove can be used as an open fire - the lack of a lower door frame meaning that the look and feel is very close to that of a fireplace, regardless of whether the door is fully or only partially open.